We’re still not sure whether the EU’s decision to scrap daylight saving time by 2021 is an early April Fools’ Day joke, but we are certainly ecstatic about the clocks moving forward this weekend! If our humble British Summer Time still doesn’t offer enough vitamin D though, then we’ve rounded up the top ten sunniest spots in the world for you. In these destinations the days can feel endless, meaning you can pack even more into your holiday. 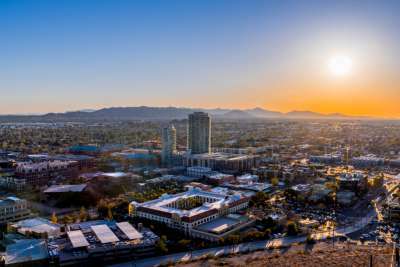 Just hearing the name of Arizona’s capital conjures up mythological images of fire and sun worship, which is fitting considering that on average rays reach the ground during 85% of daylight hours in Phoenix - its metropolitan area is aptly known as ‘the Valley of the Sun’. The city caters for an authentic American holiday: you can immerse yourself in its history by visiting cowboy ranches and remnants of the Old West, get the perfect picture next to cartoon-like cacti in the Sonoran Desert, then soak up the electric atmosphere of downtown Phoenix in the evenings. Although Reykjavik has one of the lowest average amounts of sunlight hours annually (but still more than Glasgow!) according to data gathered by the World Meteorological Organization, its proximity to the Arctic Circle means that for a period every year, the sun hardly sets. 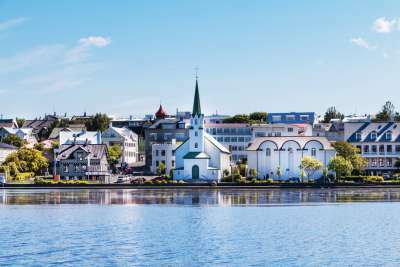 This phase is called Midnight Sun and it occurs between May and August, making this part of the world a paradise for adventurous holidaymakers during this time. Temperatures rarely exceed the mid-teens, but the endless days mean you can pack in as many activities as you can stay awake for, and the twilight vistas make for ethereal photos. The city of Aswan is perched on the Nile River in southern Egypt, where the desert climate is hot and dry and it very rarely rains. Aswan sees a whopping 3,863 hours of sunlight per year, making it the third sunniest place in the world according to the World Meteorological Organization. 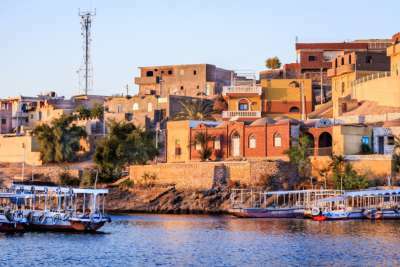 The city is a laid-back alternative to more frequented Egyptian destinations such as Luxor and Cairo, but it still has plenty to see and do, including ancient ruins, spice markets and Nile cruises. Temperatures can reach higher than 40°C in the summer though, so be careful when you visit. Tropical Darwin, in the Top End in Australia’s Northern Territory, is closer to Bali than it is to Sydney. The coastal city is well-known for its unwavering sunny weather and easy-going ambience, however it’s advisable to avoid monsoon season and the months leading up to it (October to April). 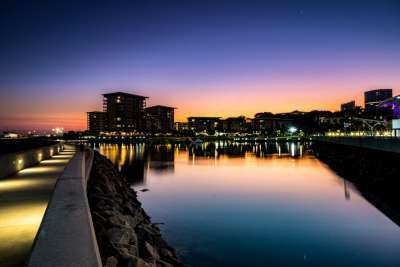 In addition to its optimal climate, Darwin is also a fascinating place to visit, boasting Aboriginal history and culture, lots of Asian influences (especially within its food scene), scenic waterside spots such as Cullen Bay Marina, and jumping crocodile cruises along the Adelaide River! El Paso, nestled on the border between America and Mexico, has been nicknamed the ‘Sun City’ because it swelters for an average of 300 days per year. 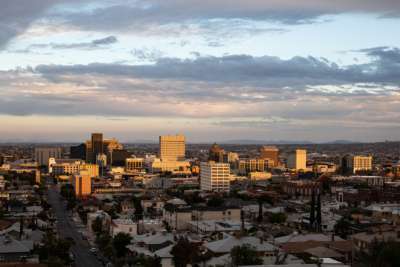 This area of the states isn’t all barren landscapes and dodgy deals as Breaking Bad fans might assume, though; in fact, El Paso was one of the top ten safest cities in America in 2018 according to SafeWise. Highlights include the El Paso Museum of Art and the Franklin Mountains State Park where you can hike, bike and rock climb. 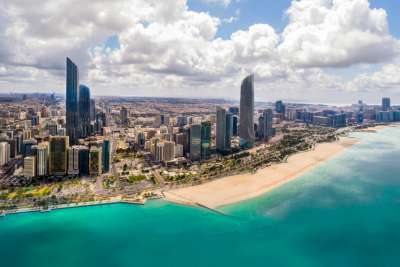 When you envisage Abu Dhabi, it’s often an image of shiny, glinting skyscrapers, which is unsurprising since according to World Weather Online, the capital of the UAE has been sunny for 354 days out of the last year! There are plenty of ways to enjoy the weather – notably in the beach clubs or by taking part in desert activities such as dune bashing and sand skiing – however, the modern jungle of hotels, restaurants and malls provides air-conditioned respite when needed. 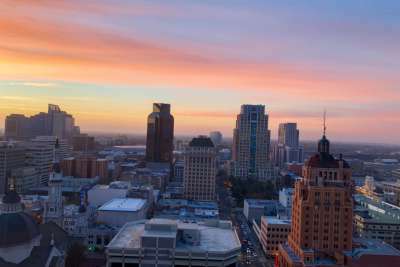 Sacramento is the self-titled farm-to-fork capital of America and it promotes the use of local, seasonal produce in its many Zagat recommended eateries. The area enjoys a year-round calendar of agricultural riches as a result of its enviable climate: according to data gathered by the World Meteorological Organization, the sun can shine for more than 13 hours per day during its balmiest months of June, July, August and September! In between meals, there’s plenty of unusual sights to see in the capital of California, including Old Sacramento – a waterfront district that transports visitors back to the days of the Gold Rush. 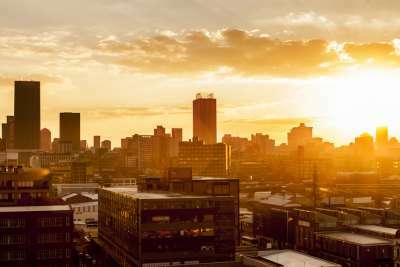 Mild and sunny winters make Johannesburg a favourable city to visit at any time of the year, although in the height of its summer (November to March), it can experience a fair few thunderstorms. The South African hub, affectionately known as Joburg, is busy and colourful (literally!) – its walls are used as canvasses by street artists. Alongside the city’s vibrant art and foodie scenes are important reminders of the country’s history: be sure to visit the Apartheid Museum and Constitution Hill during your trip. The darkly glamorous Las Vegas is mostly pictured at night, when its neon lights can be appreciated in all their glory. 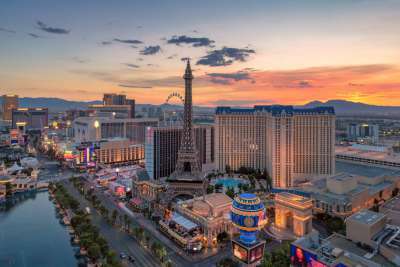 It’s easy to forget though, that Sin City's affinities to the Wild West stretch beyond gambling and debauchery – this grown-up playground is on the periphery of the Mojave Desert and in the midst of an arid landscape. It might be a blessing that the city comes alive when the sun goes down, as the beating sun can reach unbearably high temperatures! This Mediterranean archipelago is the sunniest spot in Europe, and claims to enjoy more than 300 days of rays per year! Malta basks between Sicily and the Tunisian coastline, however you’ll want to do more than sunbathe and swim here. 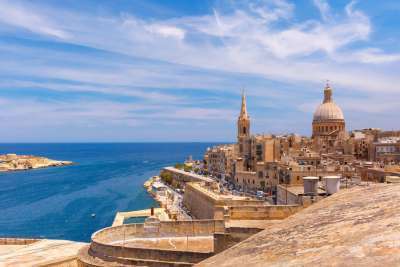 Valletta was crowned the Capital of Culture 2018, and the city is a treasure trove of historical architecture and fine art. Duck into St John’s Co-Cathedral and the MUZA for some cultural treats and a break from the heat.